Jess Conte is a well-known Australian YouTuber, singer and beauty guru. She rose to fame through her amazing videos, with her YouTube channel “BauerBirds” has accumulated more than 2.1 million subscribers. In addition to her beauty tips and makeup videos, the talented singer also uploads a lot of covers of popular tracks. Jess Conte was born on 23 July 1996, in Brisbane Australia. Unfortunately, not much is known about her family background. The only information that we know is that she is from a musical background family. Her father, Russ Bauer, is a former music teacher. She has two siblings, an older sister, Sarah, and a younger brother, Toby Bauer. Jess Conte is married to fellow YouTuber Gabriel Conte. The couple got engaged in September 2016 and married on December 18, 2016, in Maleny in an intimate wedding ceremony. Jess released her debut EP titled “Under the Covers” along with her husband Gabriel, on February 14, 2017. The EP consists of five tracks such as cover songs, namely “Fresh Eyes”, “Tee Shirt”, “Can’t Help Falling in Love”, “Bless the Broken Road” and “Love Me Now”. The songs were originally performed by musical maestros such as Elvis Presley, John Legend, and Rascal Flatts, among others. 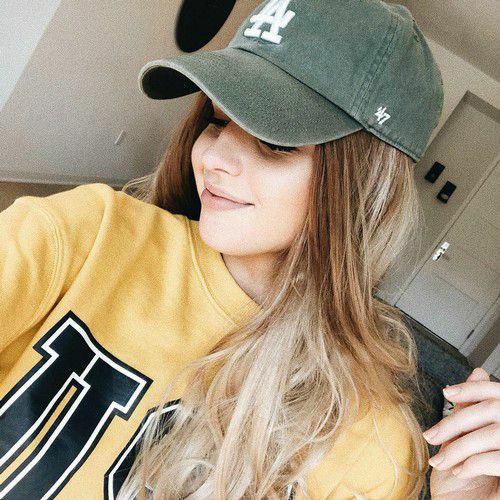 She is best known for her YouTube channel “BauerBirds” on which she has more than 2.1 million subscribers. Jess Conte has an estimated net worth of $1 million. Jess joined YouTube in December 2011, and in less than a month, she uploaded her first video titled 1, 2, 3, 4 – plain white t’s (cover by jess bauer). It took more than three years for her to get a viral video. She came under the spotlight when she uploaded the video When Mama Isn’t Home/When Mom Isn’t Home, which went on to make waves, and attracted over 10 million views. She has uploaded cover songs by artists like Ed Sheeran, Justin Bieber, Cyndi Lauper, and Jason Mraz. Jess always dreamt of settling in the U.S. and marrying an American since she was a child. Her wish fulfilled when she met Gabriel on her first trip to Los Angeles. They got married in Brisbane in December 2016. She is best friends with Jess Elford, with whom she shares friendship from the age of 3. She idolizes Selene Gomez as her fashion inspiration and she loves Kylie Jenner’s shoe collection.